In a previous post, I introduced the powerful concept call the Future Perfect Paradigm. 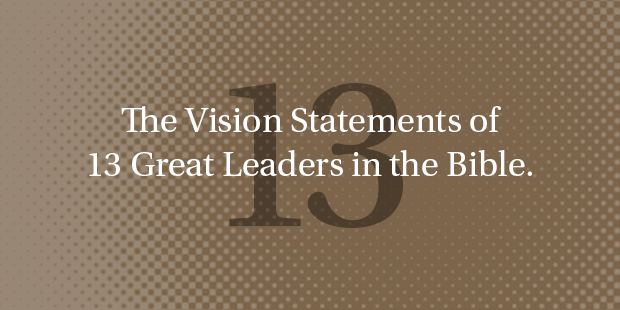 I am continuing this series by looking at the vision statements or the future perfect paradigms of 13 biblical leaders. What is the future perfect paradigm? The Future Perfect Paradigm is simply looking at everything today through the lens of a powerful future perspective. 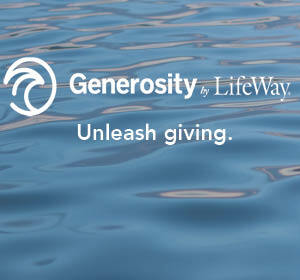 The more clear and powerful the future perspective, the greater the impact it can have on the way you look at today. 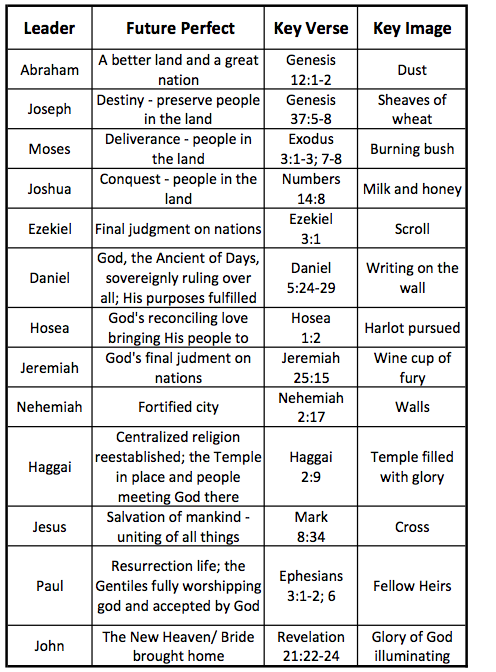 The summary chart below is taken from work by Robert Clinton and only slightly tweaked and expanded. We will continue to explore how the idea of a future perfect paradigm adds value to the typical notion of a vision statement in the next post.